Daredevil’s first trailer (and the second scene of the series proper) starts with a shot that was once one of the grand cliches: a man in a confessional booth, admitting to the priest that it’s been too long since his last confession, then going into exposition about his past. Matt Murdock, our protagonist, talks about his family’s history of violence and Catholicism, the two counterweights in his life, leading into the grim, almost noir setup dialog that promises the viewer that things are not going to be restricted exclusively to people talking in dimly lit rooms. It’s a big, flashy moment, showing us our protagonist is plotting something not exactly upright. 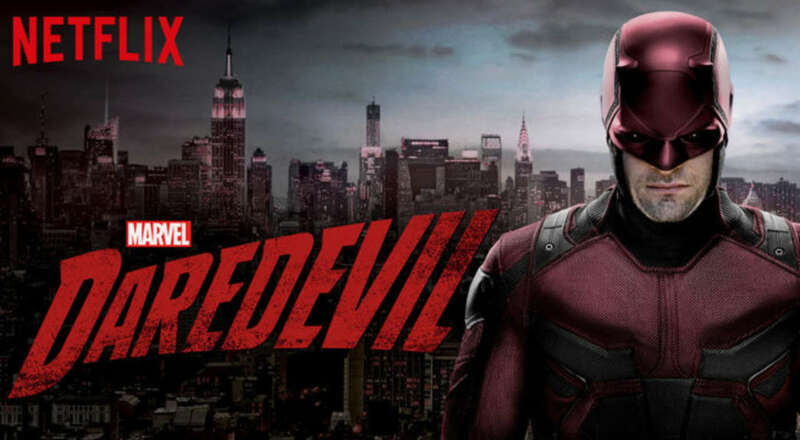 In a lesser show, the scene would end there, but the first season of Daredevil isn’t stupid. The show, with surprising religious literacy, remembers that the confessional is for past sins, and, that while saying what you’re going to do may sound cool, it’s not what the booth is for. Daredevil season 1 cares about the act of confession beyond its role for exposition. Matt Murdock is a Catholic, however lapsed, and that means something about him as a person. In Matt’s case, it means that he feels really guilty about how much he likes smashing people’s skulls into the pavement. He simultaneously feels that Hell’s Kitchen needs someone to act outside the law to protect its people, and that taking that such action is wrong. He believes that his actions should remain in the law (he’s a lawyer) and that the law isn’t enough (he’s also a vigilante). The struggle could have been kept internal easily enough, but Daredevil goes a step further by not only having Matt go to a priest, but making the priest an actual, ongoing character. As the show progresses, the priest provides a confidant to Matt -- not just a generic “religious” figure, but a specific person, with his own opinions and history. The show nods at the more modern convention of open air confessions, where the parishioner can see the priest across the table rather than dealing with a distant voice of authority, and gives the main priest a past, complete with doubting doctrine, and later doubting his doubts. 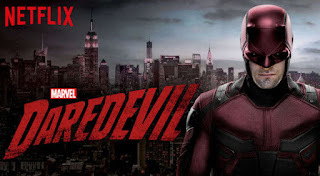 The Church in Daredevil, while not able to solve all problems, is a place where people trying to be better seek to glorify God, and where people on the edge of falling can catch their last handhold. It’s not perfect, but overall, it’s a much more positive depiction of Christianity than most drama shows, with care and consideration for the details. Well worth the watching. 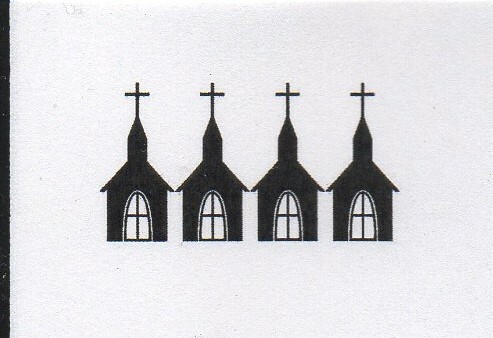 Four steeples for the church and its priest. Movie Churches Goes to Court!